Decorations signal the beginning of the holiday season and capture the magic of the holiday spirit by bringing it into our homes. The whole family, including your furry friends, can take advantage of the cozy feeling marked by garlands and sparkling lights that takes over this time of year. While tiny angels that float through the Christmas tree branches and glass ornaments that twinkle like snow are essential to creating that atmosphere, they can be a potential threat to your pets' safety. Some of your holiday decorations may include fresh or live items such as real plant garlands or a holly wreath. While they are festive and bring a natural element to your decorations, some of them may be toxic to pets. Before investing in a fresh garland, make sure they or the spores they release are not poisonous to your pets. Wires left lying around are a threat for a variety of reasons. Just as you may trip over cords, your pets are even more likely to get tangled if they are on four paws. The snake-like appearance of wires makes them the target of instinct-driven play by a majority of our pets, exposing them to shock or ingestion of chemicals. To avoid your pets getting caught in or chewing through your wires, you can placate them against a wall, cover them up, or turn them off and store them away when not in use. Tinsel, bows, and even the shed pine needles of your real or plastic trees all represent choking hazards. In order to mitigate these hazards, make sure you clean periodically and keep smaller decorations out of your pets' reach. 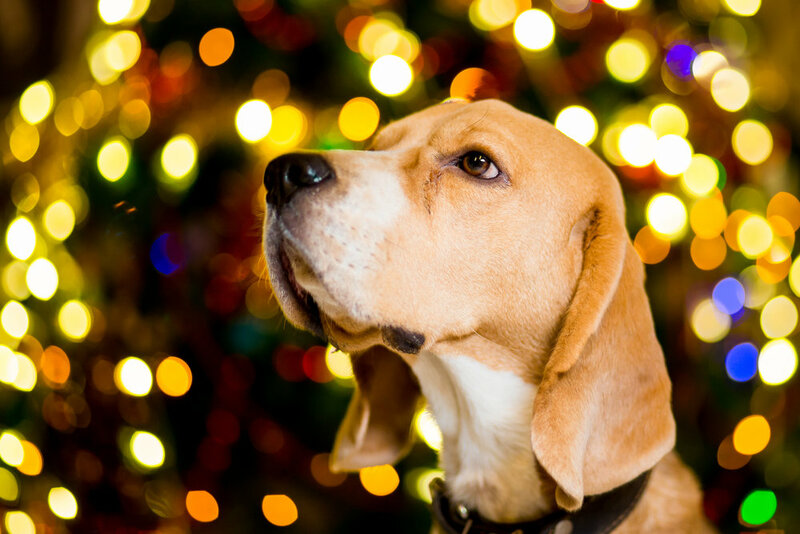 With these precautions in mind, you can feel at ease when choosing which decorations to put up to ensure your pets' safety this holiday season! Visit our website for more information.